Images of Montana's seamless, never-ending sky inspired this bold ring. 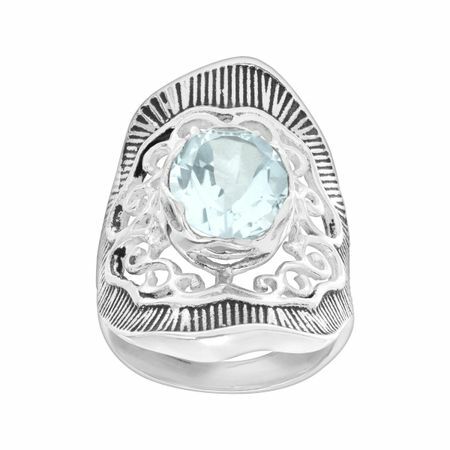 A natural Swiss blue topaz sits central among swirls of sterling silver, perfect for spending your days daydreaming about your next adventure. Ring face measures 1 1/8 inches in width.